In Färgelanda, a conscious and successful effort has been made for diversification of the local trade and industry, in order to reduce the dependency on the automotive industry. Previously this was quite considerable. Today, there is a cluster of food-processing businesses here. Within green industries, natural conditions are preserved and enhanced. The plastics industry supplies the heavy automotive sector and there are companies here that amongst others are suppliers to Ikea. Tourism is on the rise and there are many small businesses in the services and trade sector. In the field of green industries, it has become more common that young people with a university college education buy farmsteads and develop these using new technology. They contribute to keeping the landscape open and vibrant. Färgelanda has many years’ worth of experience in developing and manufacturing plastic components for amongst others the automotive industry. There’s also major expertise in the field of moulding of fibres for, for instance, the automotive and interior decorating sector. Within the food-processing sector, a centre has been created around a modern manufacturing structure. Here, businesses have been established around common spaces for, amongst others, refrigeration and freezing. The characteristic of these companies is that they work successfully with product development, and manufacturing is very efficient and highly automated. The receptiveness for new technologies is high, not in the least within green industries, where many young entrepreneurs invest in farmsteads and set up efficient production facilities for , for instance, eggs, milk and meat. In Färgelanda, there is one business that is specialised in the processing of hay and grass. At several locations, there are plots available that have been prepared for building, and for accommodating businesses within the fields of industry, trade, logistics, services etc. All of the new areas are situated very close to arterial roads. Those who want to buy or rent industrial or commercial spaces, have private real estate owners as their main points of contact. For businesses in the food stuffs industry, suitable raw surfaces are available, where these businesses also have the benefit of common facilities for refrigeration and freezing and the like. In terms of prices, the costs for land and spaces are advantageous, as compared to the costs structures in metropolitan areas. In Färgelanda, both formal and informal networks are very dependent on key individuals that have a wide range of well-established contacts. Banks also play a significant part in building networks. The municipality has regular meetings and conducts a continuous dialogue with the different networks. The members of the association Mötesplats Färgelanda can be both businesses, associations, as well as private individuals who want to create good conditions for all trades and industries in the municipality, in order to be able to achieve development and growth by virtue of an enhanced dialogue and creative meetings. One Krona for a building plot for your home in Färgelanda. That’s all it will take to buy one of a number of parcelled out plots that are equipped with connections to municipal water supply and wastewater facilities. In the Färgelanda municipality, 70 percent of the population live in single-family homes, 20% live in homes that are owned by the municipal real estate company, and the remaining live in privately owned real estate. Real estate prices are relatively low and the same applies for the rents in multi-storey dwellings. In principle, you won’t have to queue, neither for housing nor for childcare. 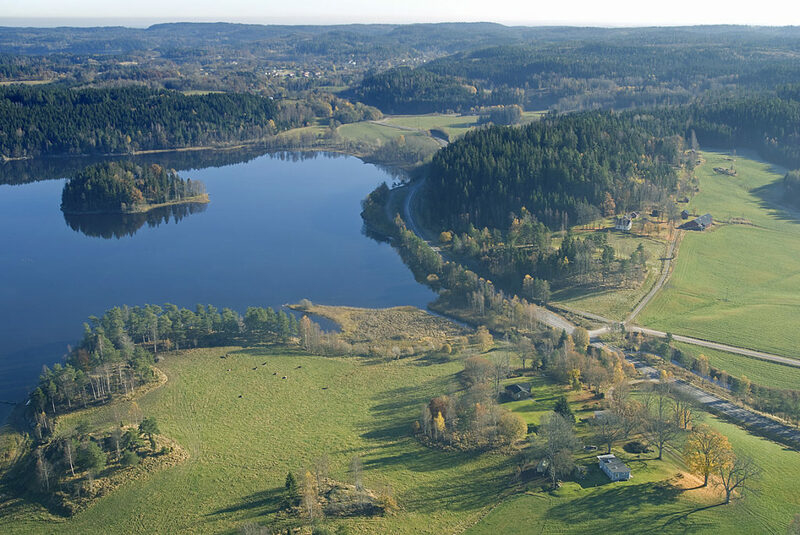 Thanks to good roads, you can quickly get to Uddevalla and the E6 and E45 to Frändefors. Travelling to an airport with domestic flights takes only 40 minutes. By car, the Norwegian border is less than an hour away. A rich cultural landscape and untouched wilderness with forests and lakes provide the core for Färgelanda’s cultural life. There’s lots to see and experience here – for those who are not in a hurry. A major part of the active cultural and leisure life in Färgelanda is the result of a close cooperation between associations and businesses. Events are organised together, for each other. Examples are the Färgfest, Harvens dag, Kulturkollo, Culture Weeks, creative workshops and lots more. The library in Färgelanda is a cultural centre with increasing numbers of books being on loan and well-attended exhibitions. Folk music gatherings and films are also part of the cultural activities here. ”Welcome to Järbo state” has been declared a cult film and deals with life in a village that has less inhabitants than a block of flats. An event that has been recurring for 20 years is the Färgelanda Cup, a football tournament for children and youths, with participants from several countries.